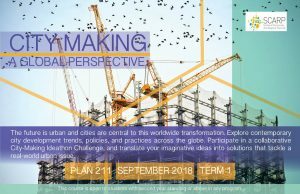 PLAN 211 City-Making: A Global Perspective — an undergraduate course developed by Dr. Su-Jan Yeo — was launched in September 2017 to a pioneer cohort of 47 students at the University of British Columbia (UBC). 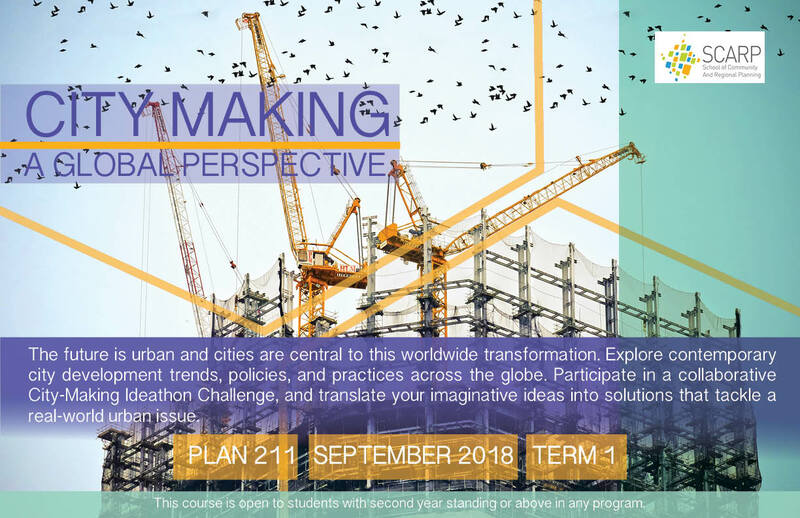 Embedded in the course curriculum is the time-sensitive and team-based “Ideathon Challenge” — a platform on which students generate outcome-driven solutions to a real-world problem scenario. This pedagogic experiment has been awarded the UBC Scholarship of Teaching and Learning (SoTL) Seed Grant. As principal investigator and course instructor, Su-Jan aims to conduct an evaluative study on the effectiveness of the Ideathon Challenge as a pedagogic method in promoting interdisciplinary collaboration, innovation, and applied learning. 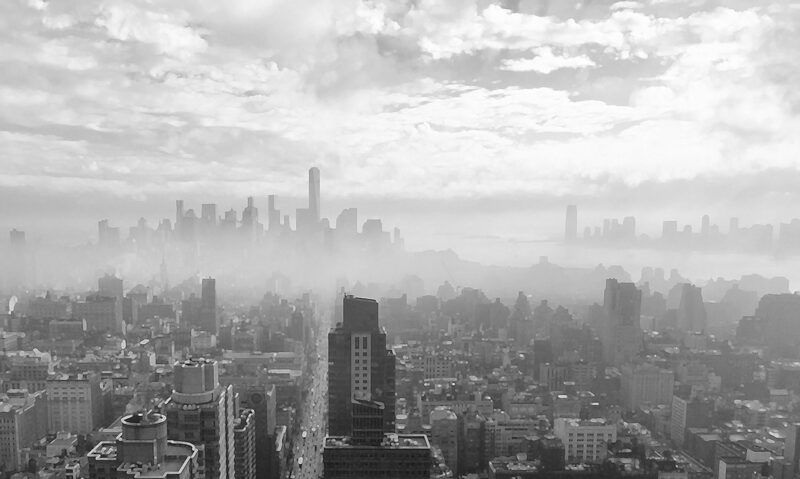 This course website documents the project in its initial pilot run and future iterations. The contents contained in this website may not be reproduced, transmitted, or distributed without prior written consent from Su-Jan Yeo. Poster designed by former student Katie Robertson, supervised by Su-Jan Yeo (SCARP | 2018).